What a sight! 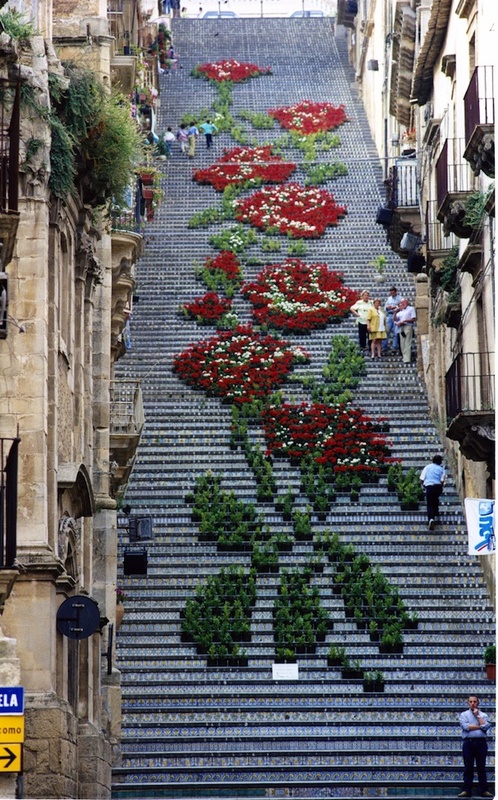 Come visit a small town on the island of Sicily called Caltagirone and you'll witness a landmark that's a sheer beauty. Built in 1608, the Staircase of Santa Maria del Monte has 142-steps which are each decorated with a different ceramic, using styles and figures derived from the millennial tradition of pottery making.